SKU: highBD2018. Categories: Flowers, Hybrid. 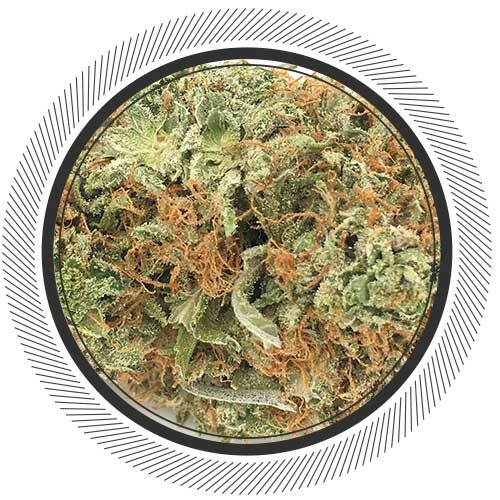 Blue Dream strain, a Sativa-dominant hybrid originating in California, has achieved legendary status among West Coast users. The quad is back! Please read the reviews. Crossing a Blueberry Indica with the Sativa Haze, Blue Dream strain balances full-body relaxation with gentle cerebral invigoration. It's as if you are cruising above the clouds while playing "I spy with my little eye". What a beautiful strain. 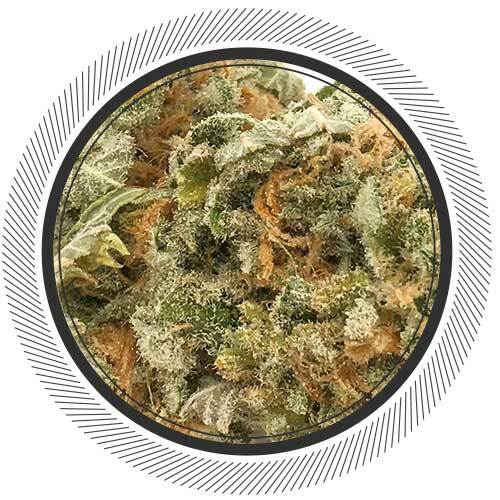 This bud has very large dense yet fluffy popcorn-shaped green nugs with amber and blue hairs and slight blue undertones. These nugs are dusted with a fine layer of milky white trichomes and sweet sticky resin. In comparison to the previous batch we had, this one is of lesser quality by only a little bit because it's hard to beat the ladies at Highlands. 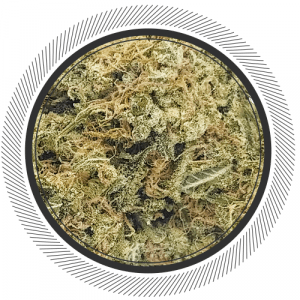 With a sweet berry aroma reminiscent of its Blueberry parent, Blue Dream delivers swift symptom relief without heavy sedative effects. The nose on this flower is to die for, just ask Dean. It will stink up your entire house seconds after you open the bag. It's a fruity yet earthy and sweet smell - just gorgeous. This is your IDEAL daytime smoke. You can roll up a couple per day and still be fully functional. 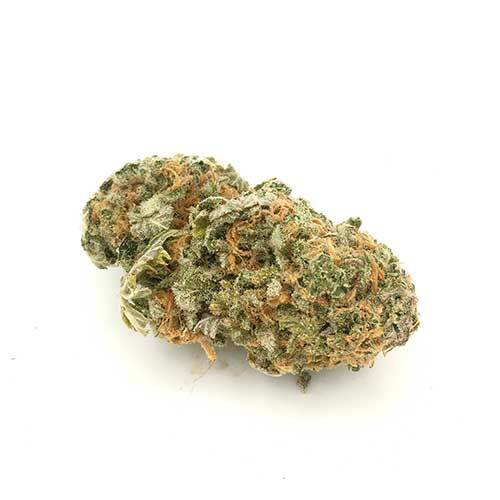 In addition, we consider this strain perfect for psychological problems. 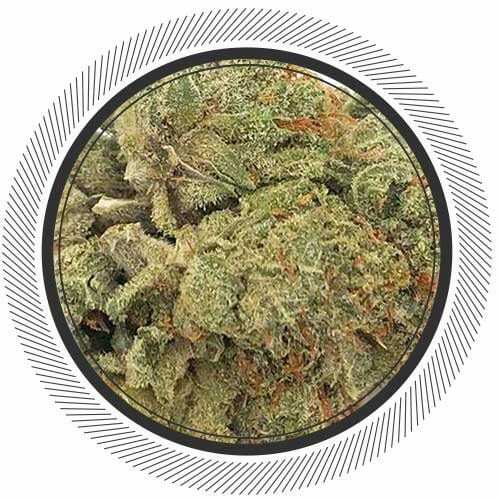 Almost every other strain with this high Sativa content (versus Indica lineage) can tend to cause some level of paranoia but with Blue Dream we have not known of any instances like this. You get the best of both worlds without the worst attached. A+ strain, can’t go wrong with Blue Dream! Sativa yes but watch out. Not your topical sativa, this gem will slow you down a tad but still a great day smoke. the first thing i noticed about this strain was the scent! it smells very specifically of when frozen strawberries are blended into a smoothie…. i swear i’m not crazy…. lovely smoke. i did feel a bit sleepy an hour or so after smoking her, but i was able to push through it pretty easily. if you do have time for a nap, i think this strain would be nice too. a very heady high. brings creativity out of me like no other. also the euphoria is a+. I initially purchased due to sale, ordered Monday and at my door Friday. There is a unique smell to this medicine that is different from most, breaks up easily in my buster, and was tasty. Fills the volcano lovely. Another great purchase. I usually avoid sativas think this strain has changed my mind awesome stuff would order again ?? Blue Dream has always been one of my favourite strains, this batch will not disappoint! Great balanced taste between that earthy Sativa Haze and that sweet Blueberry indica! The high is great! Soothing, but productive and no sign of pain, stress or anxiety! Even if you don’t like Sativa dominant hybrids, this one isn’t over powering in the slightest! Never had a bad experience with Blue Dream! Enjoying some rn as we speak! This strain is beautiful, something special. Everyone should try it! A great classic strain. Always wanted to try this one and I truly loved it. Nice high, Happy and Energetic. Good for the afternoon. I tired on sale and id pay full price for it. Smooth buzz like surfing on a wave buying more soon. 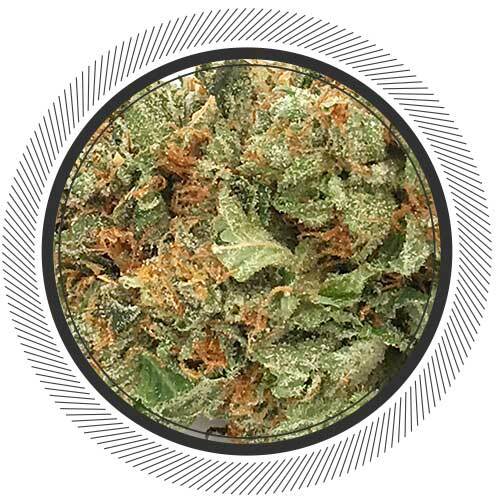 Appearance 9.5/10 hard dense light green buds,medium to large sized and coated in thick white crystal, a little sticky, a few pale orange hairs,trimmed and cured well.A bit dry.No complaints. Aroma 10/10 sweet and earthy with hints of fruit and gas,tickles the nose,really nice layered scent. Flavor 10/10 strong thick delicious expansive vapor with a little kick!, again sweet and earthy with fruit and gas notes! very nice.Layered just right. Active effects 10/10 a long lasting very nice high that reminds of the kaia kush! strong sense of mental well being and physical contentment,relaxed and happy but still energetic, excellent pain reliever, effective mood enhancer.+A. Overall 10/10 nice looking, great smelling and tasting buds that provide a high that will nourish your mind and body with what they need. 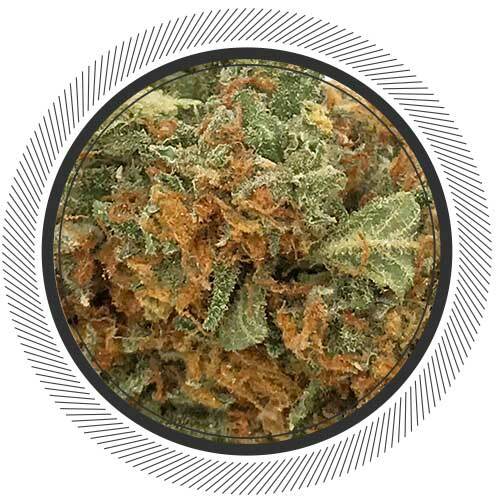 Killer bud, if you have ever had the Kaia kush i think that you will really like this stuff, the same goes the other way, if you like the blue dream give the kaia kush a try! yeah just an old school blueberry hybrid good day time vapes smooth not super heavy but nice…. Aroma 8/10 Taste 7/10 Potent 9.5/10. Picked up on sale so I’m pleased. Expected more taste but it does the job. This is some nice blue dream ! 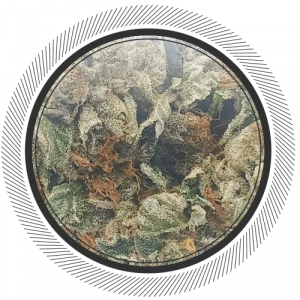 The trim is nice 80% a bit dry whit some nice orange hair its smell like blue dream taste cloves berry really good 85% the buzz is relax head high whit body buzz this is a nice strain coulb be more beautifull vut for the price is realy nice ! You should try it !! Got this on sale during Boxing Day 1/4 $55 And half of the greasy pink Nice buds nice smoke nice taste, actually quite impressed Overall. One of the best I’ve ever had the pleasure to grow personally WP friends!!! Dont ask why its a best seller! This strain is a legend! Had a good smell . Great high for the price but seems like it doesnt last too long have to keep lighting back up. I gotta give it a 5 star. While I have not purchased this myself yet, I am at my hood friends and fellow white palmers house. My good natured friend took it upon himself to roll me a personal joint of this to try because he enjoys it so much himself. I gave to say I have tried this before from a different L. PLEASE and was nowhere near as far as happy with my purchase as I was with my friends purchase through white palm. This us a fantastic High mixed with a delicious flavour and a very fair price tag. Changed my impression of this strain. Hats off to northwest. I have yet to be disappointed with an offering you have made. A true top shelf bud. Thanks to white palm and the grower. Hoping to get this next time it’s fresh in for optimal experience ? The stuff dreams are made of. very blue flavor, potent. big beautiful buds! great stuff gets you stoned for sure a definite buy again taste like kush and has a earthy taste and smells like a certain type of wood thanks wp!!! Blue dream will leave an amazing smell on your fingers. Tastes good, feels good. Absolutely love this strain, from the smell to the taste. One of my favourites! Straight up classic Blue Dream jut a lot more stinky than I remember. 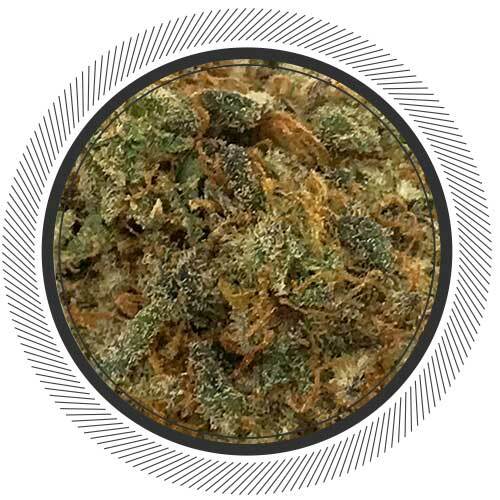 The sativa hybrid gets you going with a true wake and bake. Boy o boy, if you have troubles sleeping, this is the strain for you! It has a slow come on and that gives you the time to put your jammies. Be prepared for your pain to ease enough to have a great night sleep this is our favorite for relaxation. Nighty night folks.